Cape Town - Cape Town City will look to keep up their Absa Premiership title challenge when they take on table-topping Baroka in Tuesday's Premiership clash at the Cape Town Stadium. 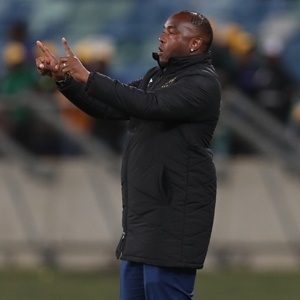 Benni McCarthy's side will welcome Bakgaga to their home stadium with a measure of revenge after Kgoloko Thobejane's men beat the Citizens in the opening round of the Telkom Knockout. Both teams are fighting for pole position in the league, with City on 15 points in third after nine games, while Baroka are top with 17 points from 10 matches played. A win for the hosts could see them move to the summit of the Absa Premiership, although Golden Arrows, who play Orlando Pirates, are in second place also challenging for top spot. Bakgaga still lead the standings despite a draw against AmaZulu and their first league loss to improving Bidvest Wits. For Thobejane, Tuesday's game represents an opportunity to maintain their title challenge, as he told reporters: "We are there in position number one at the moment and there is no reason for us to be afraid. "For us to keep our position we have to fight with everything that we have. There are people who said we are keeping the umbrella for someone there at the top but it has been a few months since the league campaign started." City owner John Comitis is optimistic of his club's chances, telling IOL website: "We want to win, take the three points, go to the top of the log and put the pressure on the other teams. "Just think about it, we've had a bit of a lull, a few bad results, and yet we are still right up there and challenging. "The key to Tuesday's game is to win and show that we may have slipped up a few times, but we are back in the reckoning." In team news, McCarthy welcomes back two players from injury in winger Aubrey Ngoma and goalkeeper Shu-Aib Walters, although forward Victor Obinna is still around two weeks away from a return.